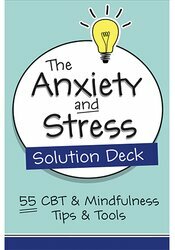 Relieve stress and calm anxiety with 55 quick and effective tips & tools. Each card features a short Tip, followed by a Tool, or short activity to put that Tip into practice. Cards - 3" x 5"